Friend and fellow advocate Brian Biery and I discuss our slow change process. 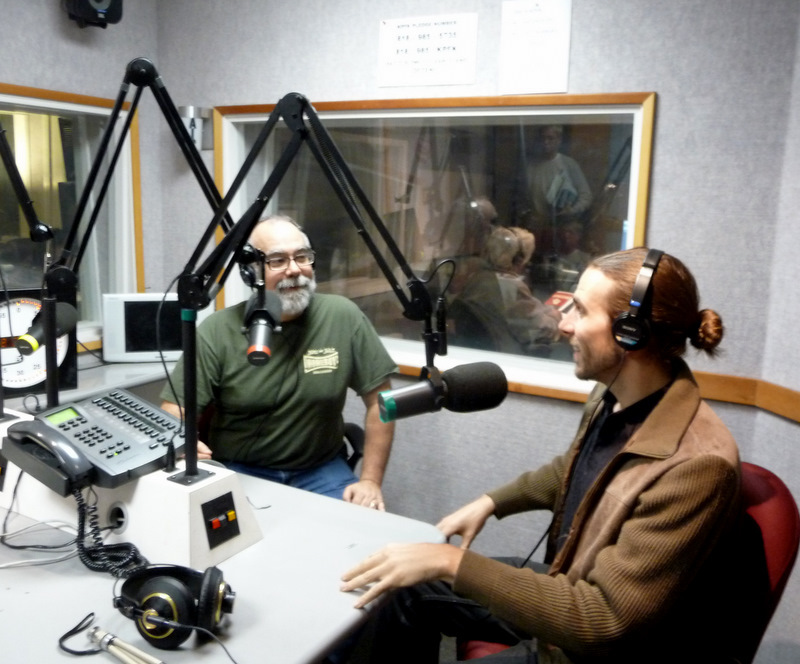 with Mark and Carter – we had a brief and crazy time on KPFK – Pasadena Learning Gardens facilitated a collaboration between a community of old friends who were working to change their collective relationship with food, and our radio mentor Alan Minsky- who had a desire to understand and engage the issues around healthy sustainable food. Then we prepare you to get your winter garden in the ground. Mark speaks with master horticulturist David King, Founder of the Seed Library of Los Angeles, Gardenmaster at The Learning Garden at Venice High, and a great blogger. Be sure to check out our gardening information page for all the info you need to grow your own food. And come out to Diamond Bar on Saturday to celebrate the one year anniversary at Growing Home – a sustainable homesteading project – where your co-hosts/ producers Mark and Carter will be on a food policy panel – also a potluck, music, tours etc. – First a look at AB1616, the CA Homemade Food Act, with infamous artisanal bread baker Mark Stambler, and Assemblymen Mike Gatto. -Erik Knutzen whose blog Root Simple will give you many great ideas to become an Urban Homesteader, . Backwards Beekeepers, Chicken Enthusiasts, and the LA Bread Bakers were mentioned. -An examination of traditional fermented foods (kraut, kefir, kombucha) with Elaina Luther from Culture Club 101, Monica Ford from Real Food Devotee and a Video, Uri Laio from Brassica and Brine, And if your can make it to Santa Barbara on the 15th, there is a free Westin A. Price Foundation Fermentation Forum. Recipes!!! Purple Garlic Sauerkraut Recipe and Video, and a home Root Beer recipe. –Joseph Shuldiner and Elizabeth Bowman from the Altadena Farmer’s Market! -Jeffery Smith / It’s time to step up and support the labeling of GMO’s in our grocery stores. -Yvonne Savio / Learn about the Master Gardeners, how to garden and programs available around Los Angeles. Also check out our Gardening tab for a highly selective collection of great gardening resources. -Nicole Gatto / LA Sprouts program bringing gardening and nutritional information to at risk communities.